Are you interested in shameless book marketing tactics? Join one of the best book marketing experts, Chandler Bolt, as he shares his proven uncommon and unconventional book marketing tactics. How to Use Powerful Shameless Book Marketing TacticsChandler Bolt certainly knows book publishing. From being a college drop out, he’s now the esteemed author of five best selling books. He’s the Founder and CEO of Self-Publishing School, the number one online resource for writing, publishing, and marketing your first book. 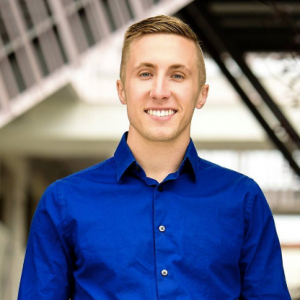 Through his books, training videos, and his Self Publishing School, he’s helped thousands of people on their journey to writing their first book. 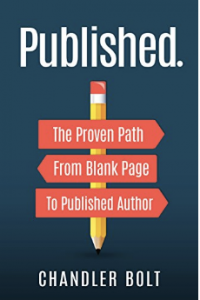 His latest book The Proven Path From Blank Page To Published Author, equips readers with the key to unlocking the story that’s been burning inside them. Calling them to share their wisdom with the world. He’s dedicated to helping authors grow their income, authority and business through writing a book. Q: What are some of the best book marketing tactics you can offer the listeners to set them on this road to success? A: The first time I went to go to market my book, I was petrified to even message someone that I even had a book. I think everyone struggles with this, being salesy or having to ask someone to buy your book. Or to even market and speak up about your book. I think a lot of people struggle with this, I certainly did. I dropped out of school to start my business. My business was failing. Failing at dropping out of school. It doesn’t get much worse than that. I was feeling the pressure of, “okay I look like an idiot right know. I need to pay rent next month. So what do I do here.” So I had this epiphany, that the one skill that I could learn would move the needle is marketing. And it’s marketing and copywriting – salesmanship in print, and text. Not the copywriting that most people would think. I dedicated my time. Because I said, “If I can learn sales and marketing, I will never be broke.” Because people always need more leads and they always need more customers. If I can learn that skill, I’ll at least have a job, if I need one. So, I dedicated myself to learning marketing. In that process I was going through books, training courses, all of these things. I’m a firm believer that if you want to do something, you learn from someone who’s been where you want to go. That’s my prerequisite to deciding who I’m going to learn from. To contact Chandler for more information about his services.